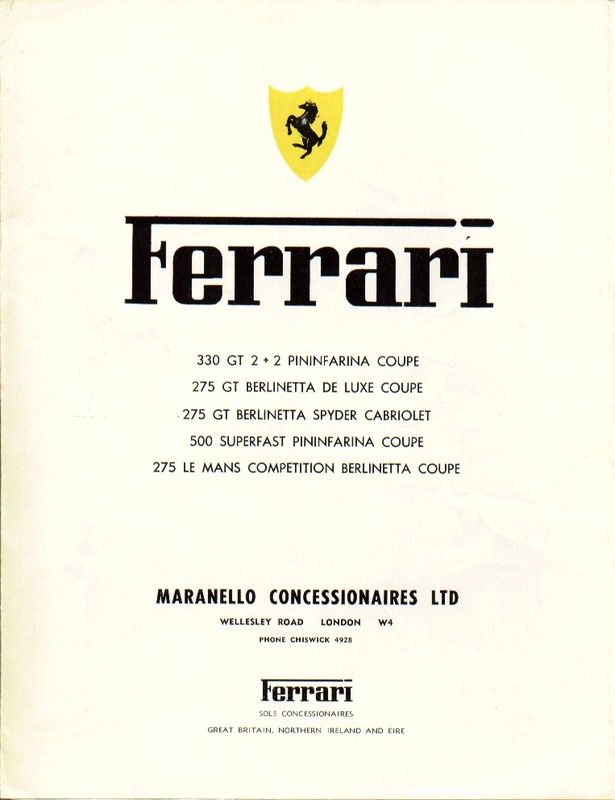 This sales brochure was produced by Maranello Concessionaires, London, England probably in 1964. 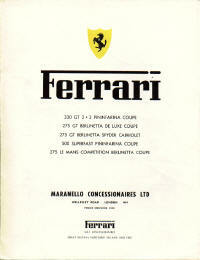 Maranello Concessionaires was the Great Britain, Northern Ireland and Ireland distributor for Ferraris. The brochure is a black and white (except for the Ferrari horse) full-line six page brochure. You could have your pick of a 275 GTB or 275 GTS for £4,900 or about $13720. A 330 GT was £5,350 or about $14,980 back then. Or go for broke with a 500 Superfast or 275 GTB/C for £9,450 or about $26,460.